I’ve been doing this blogging thing long enough to know that 300 posts is kind of a big deal. I could give you a list of bloggers that have been in the game long enough to see it, and a shorter list of bloggers that would chuckle and add a 0 to the end of it. On the other hand is a list a mile high of bloggers that never managed to reach it, and although I’ve slowed down a bit without a solid MMO to get hyped and retarded over, I’m still moving right along. If you like the style, or the content, or just stop in every couple of months when you curiously poke a link that I poop out onto twitter, be assured that I’m gonna keep blogging. This is my tower of solitude, made of transparent walls so you can all see inside, and I’m just here dancing naked in the foyer. 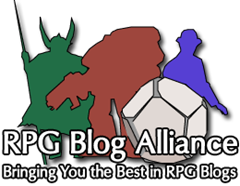 I like blogs that are true to themselves I think, so I haven’t minded the move to DnD. I think for the same reason I still read an EVE blog and a TOR blog regularly – that’s just who those bloggers are and I enjoy that about them. Congrats on the 300 milestone, may you have 300 more to go along with it! Thanks, it might take me a couple more years to get there, but I’ll give it a shot. Hopefully I find another MMO to get invested in, but right now EQNext is the only one that has me particularly interested. So you’ve made 300 grudges? Nice!